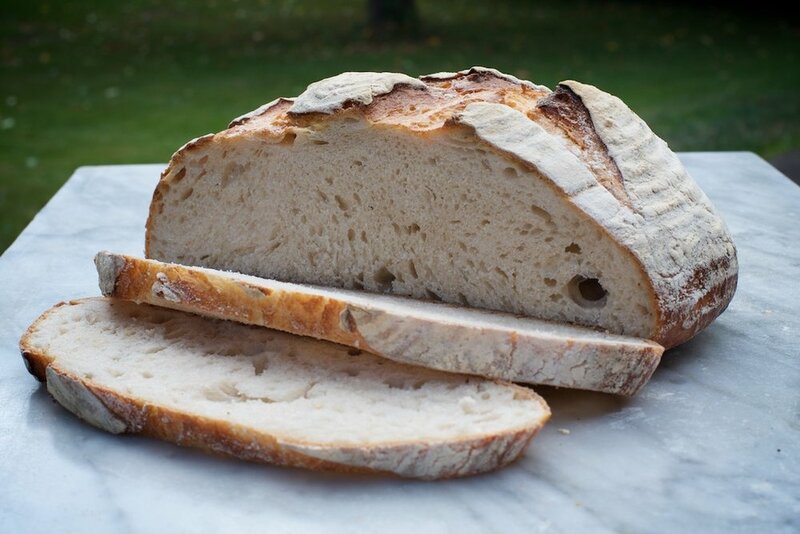 Our best selling light sourdough loaf, with a mild tang and not-too-chewy crust. Makes great toast. 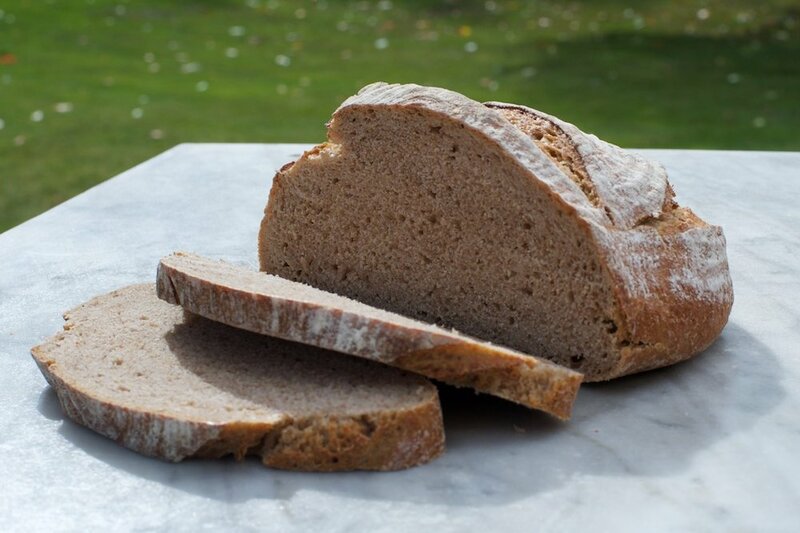 Wholemeal spelt sourdough made with organic flour from Foster’s Mill, with a slightly sweet, nutty taste. 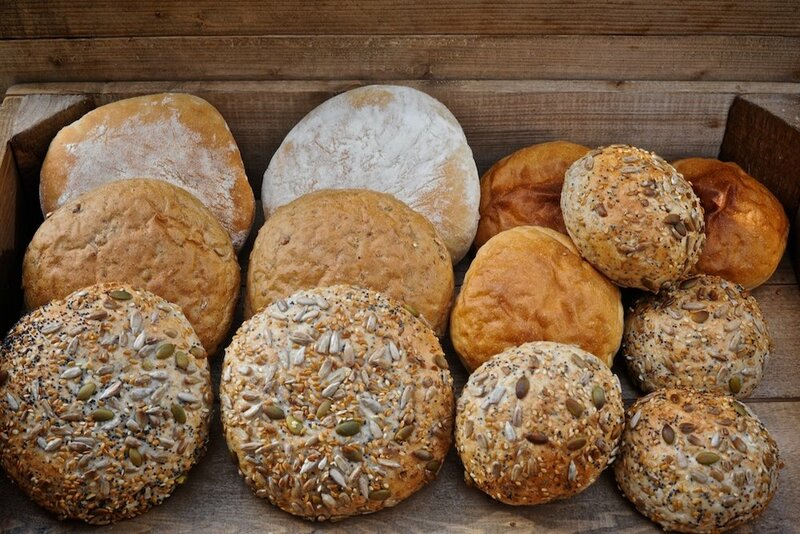 We make white, wholemeal, country malt and super seedy baps and rolls - ideal for lunchtime sandwiches or to accompany soup. 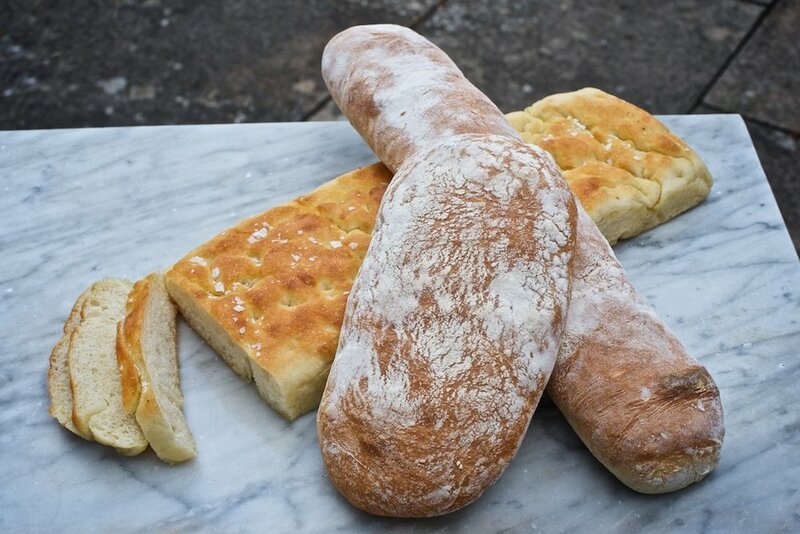 Small, but perfectly formed for serving at formal dinners - white, wholemeal, country malt & super seedy..
Our ciabatta and focaccia are designed to make perfect deli sandwiches, or just to dip in olive oil and eat. 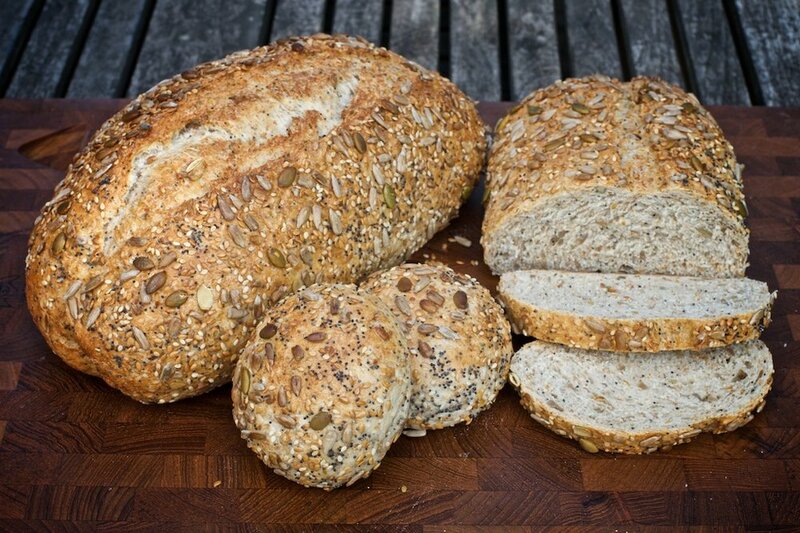 We make traditional white, wholemeal and country malt tin loaves and bloomers for classic sandwiches and toast. Our fruit scones are not-too-sweet and full of dried fruit. 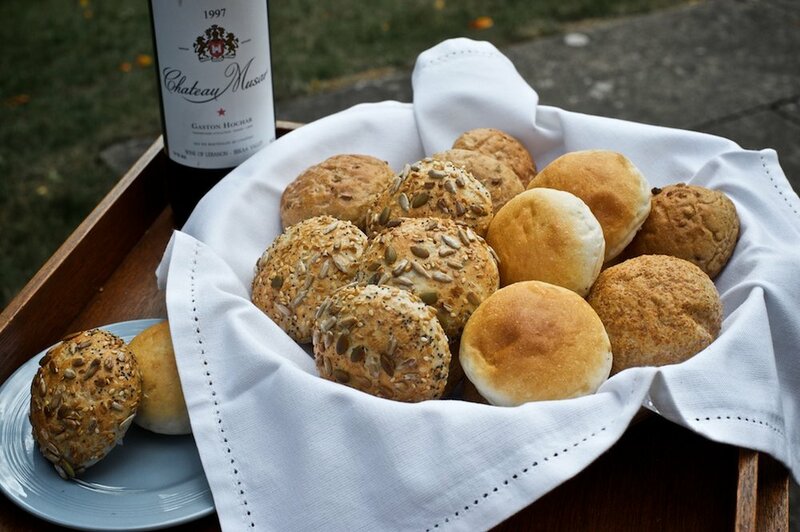 The cheese scones are made with mature cheddar cheese and cayenne pear for lots of taste. Available as large (4”), medium (3”) and mini (1.5”) round scones. 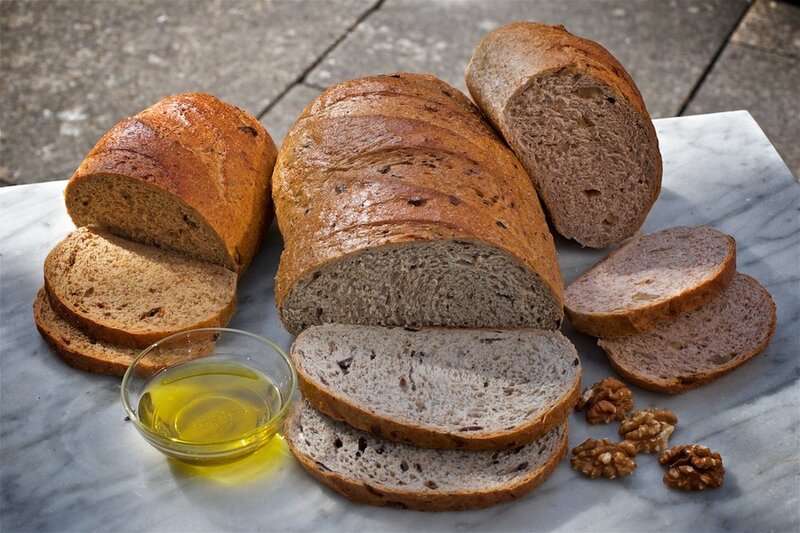 Our walnut, olive and sun-dried tomato breads are fantastic as a mixed bread basket or to serve with cheese. A light yeasted dough with a mixture of currents, raisins and sultanas. 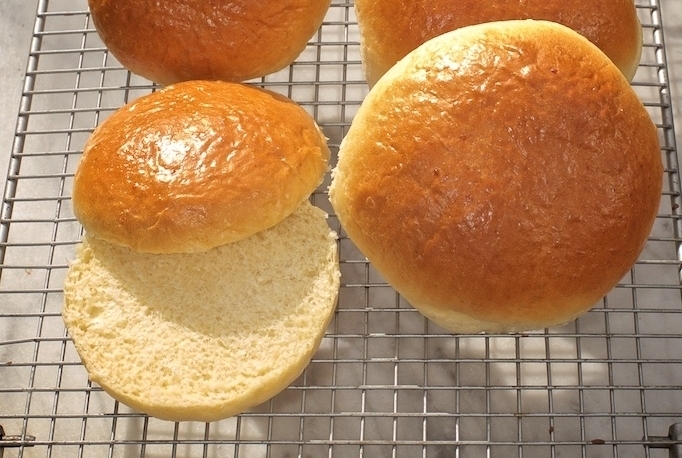 Best served toasted with lots of butter.